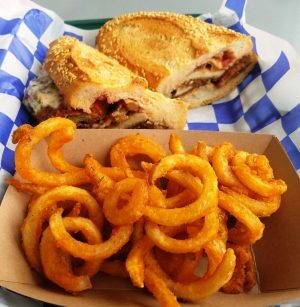 If you’re in the mood for barbeque, there’s nothing you can do but give in. Something about that smoked pork goodness and tang makes for such a satisfying meal. And one old-school barbeque spot that I haven’t been to in years is Ole Time Barbecue (note the “c” spelling). While it may officially be in Raleigh, it’s way out there in W. Raleigh near the Cary line which would explain why I hadn’t been there in years. But it was finally time for a re-visit! 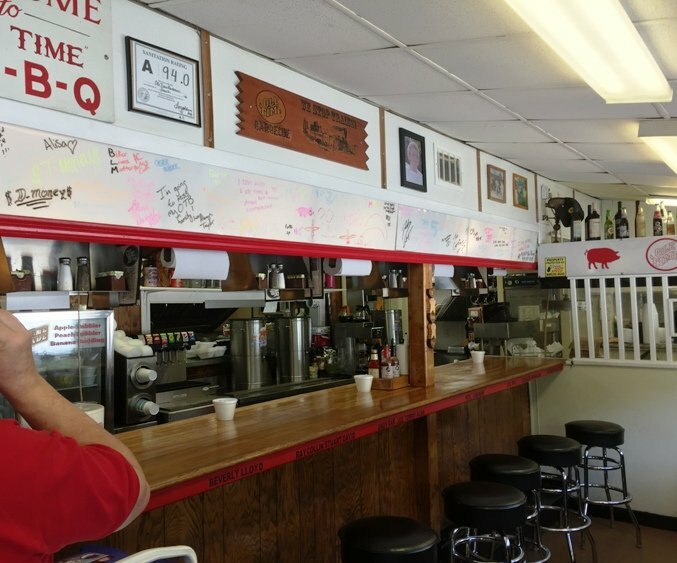 The one good thing about classic barbeque spots is that they usually don’t change much! 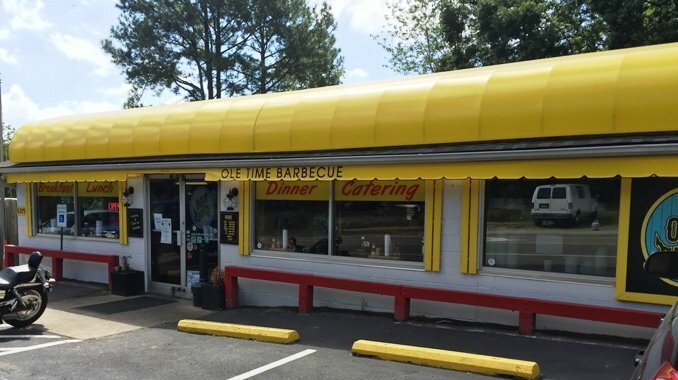 Ole Time Barbecue still sits on the west end of Hillsborough Street and it’s hard to miss the place. Bright yellow awning, it’s low and narrow giving it a diner feel. Inside you’ll find a lunch counter to the right and small dining room to the left. Wood paneling, faux wood formica tables, the place feels home-spun and classic. We’re immediately greeted by a waitress and shown to a small bench four-top. The small dining room is packed with seniors and families, I’m pretty sure Ole Time Barbecue has a cast of regulars. 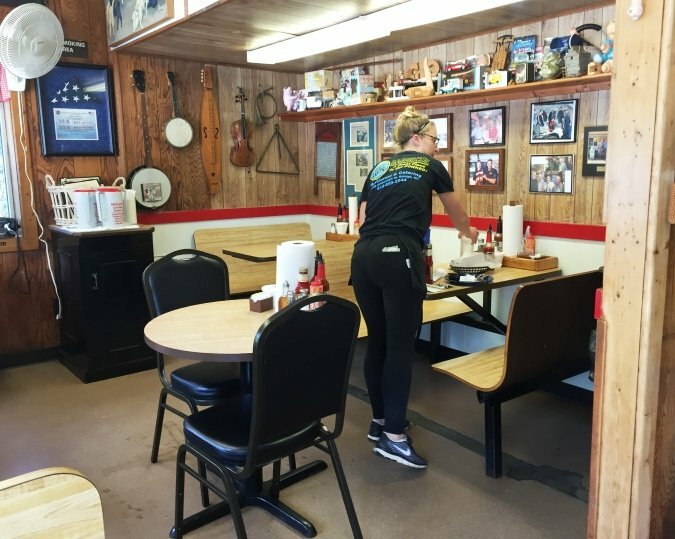 The menu is pretty basic and simple at Ole Time: barbeque, ribs, fried chicken and a couple of other items along with 12 sides ranging from fried okra to green beans, mac and cheese and more. I decide to keep it simple and do the barbeque plate with baked beans and potato salad. 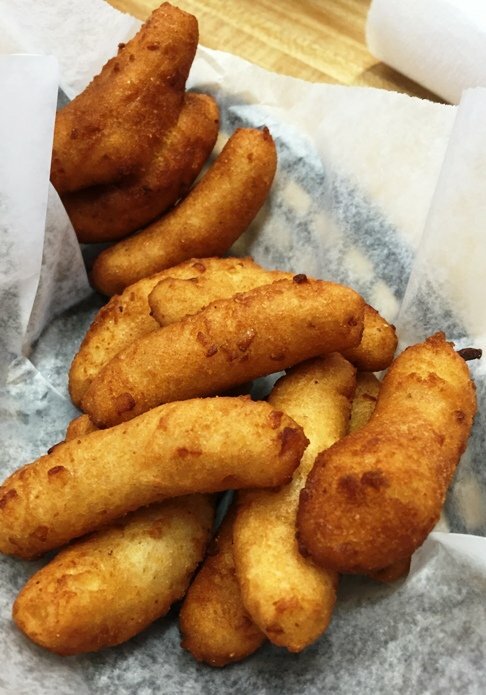 A basket of hush-puppies immediately show up at the table and they are lovely. Nicely fried with tender corn meal and a little bit of onion, classic eats! And the barbeque isn’t far behind, the plates come out quick. I’ve got a nice portion of moist pork, a small cup of beans and scoop of potato salad in front of me. The barbeque here at Ole Time is decently done and not particularly spicy or vinegar’ed. There’s some hot and sweet sauces at the table and I’d probably recommend adding a bit of the sauce for flavor. The beans and potato salad are also fine if not memorable. All in all the meal reminds me quite a bit of Clyde Coopers Barbeque but Ole Time Barbecue’s remote location means I probably won’t be back again soon. 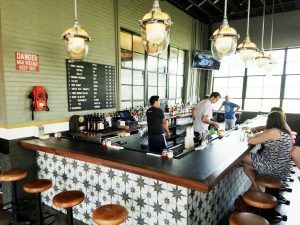 While the food is solid and I love the old-school feel to the space and staff, there’s just not enough to pull me out here on a regular basis. 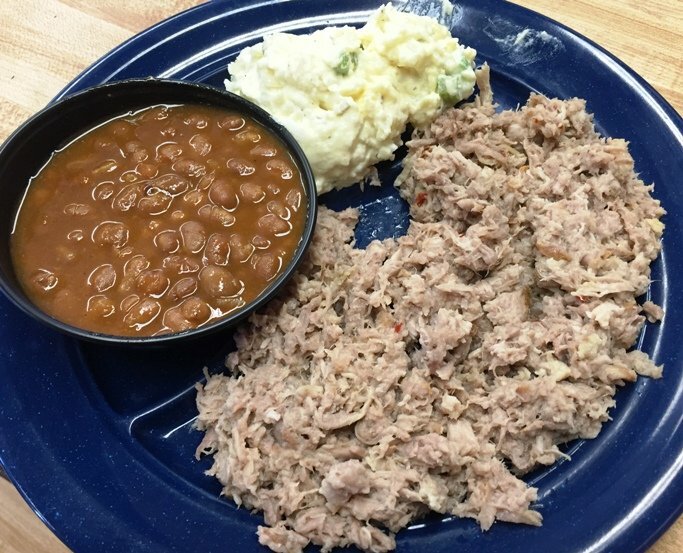 But if you live in the hood, give Ole Time Barbecue a try! 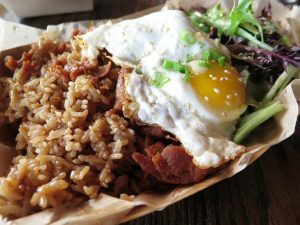 I’m pretty sure they will keep you happy and well-fed regardless of what you choose off their short menu.